The culmination of ten years of industry-leading smartphone innovations, the Galaxy S10 line places a laundry list of industry-first and best technologies at users’ fingertips that allow them to do more with their phone than they ever could before. Our previous articles examined how the new flagship line’s groundbreaking display, camera and performance innovations raise the bar for smartphones to follow. 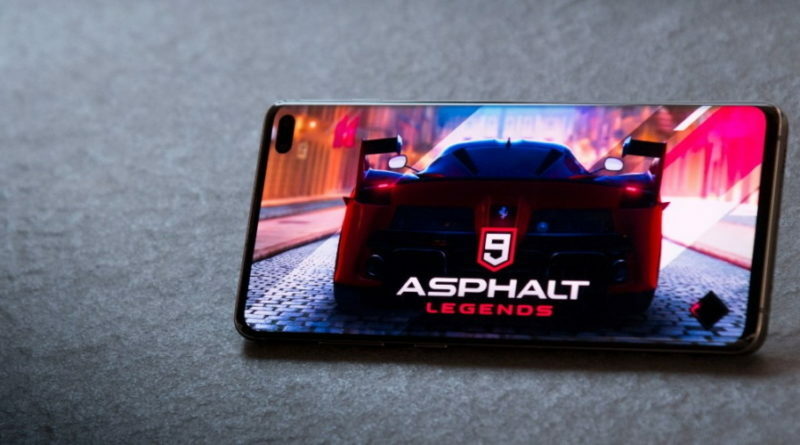 Now, using Gameloft Barcelona’s Asphalt 9: Legends as an example, we’ll show you how the Galaxy S10+’s supercharged specs take the gaming experience to the next level. Buckle up, folks. You’re in for a ride. In a game like Asphalt 9: Legends, a split-second decision can mean the difference between capturing a race and crashing out of contention. That’s why it’s important that your phone’s processor is capable of handling graphics-heavy games without slowing you down with lag or frequent FPS (frames per second) drops. Featuring up to 12GB of RAM and a next-generation application processor (which improves CPU and GPU performance by up to 29 and 37 percent, respectively),1 the Galaxy S10+ allows you to leave the days of dealing with spotty FPS, lag, and long load times in your rearview mirror. When playing Asphalt 9: Legends, the Galaxy S10+’s high FPS rate makes details truly pop, and makes each 360-degree spin and slow-motion moment that much more enjoyable. So whether you’re drifting through a turn or tearing down a straightaway, you can trust that the Galaxy S10+ will keep your gameplay snappy and smooth. The Galaxy S10+ also features a built-in, AI-based Smart Performance Adjuster that analyzes game playing patterns to make gameplay even smoother. As you’re racing down each track, it’s working to provide stable GPU and CPU performance – and eliminating frustrating peaks and valleys that could potentially slow you down. The smartphone’s stable performance makes it abundantly clear that it’s built to handle the best mobile games that the industry has to offer. And that includes 64-bit games as well, which represent the future of mobile gaming. In fact, the Galaxy S10 variants are the first Android devices to feature 64-bit game support. That means better battery drainage and thermal management when playing graphics-intensive games like Asphalt 9: Legends, Fortnite and other popular 64-bit titles that will be released throughout the year. These days, nearly half of all new mobile games are created using the Unity game engine.2 In order to offer users the best possible mobile gaming experience, Samsung specially optimized its newest flagships for running Unity-built games. So when you play these titles on your Galaxy S10+, you’ll be playing them in their best form. The smartphones are able to deliver a more seamless and stable gaming experience because they’re the first mobile devices to be optimized to work with Unity’s new Adaptive Performance feature.3 Adaptive Performance support means that when playing high-performance games on your Galaxy S10 line, you’ll enjoy better battery life and smoother, faster performance – without having to worry about your phone overheating. If the game you’re playing was built using the Unity engine, Adaptive Performance will boost its overall performance by approximately 10 percent. Just like cutting-edge supercars feature the latest and greatest in terms of engine technology, the Galaxy S10+ features hardware and software that have been optimized to support truly incredible gaming experiences. Take, for instance, Samsung’s Vapor Chamber cooling system, which allows the Galaxy S10+ to stay cool during heavy gaming sessions. This innovative technology improves GPU efficiency, which means that 3D games are smoother and more immersive than with the Galaxy S9. 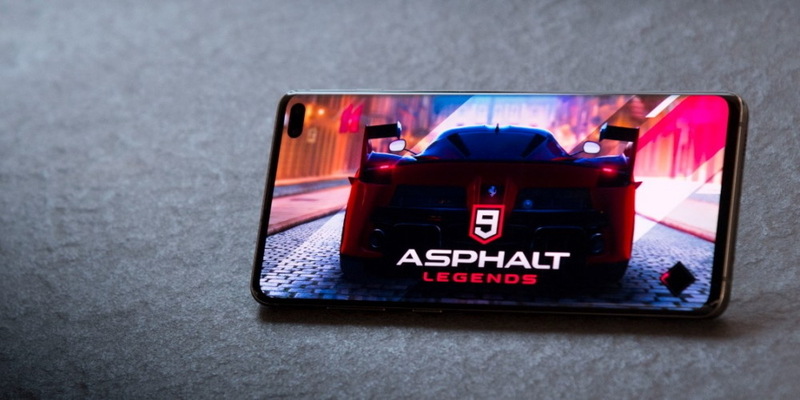 So as you breeze through each course in Asphalt 9: Legends – burning rubber at one picturesque location after another – you can rest assured that your phone is designed to keep cool when the pressure’s on. As anyone who’s put the pedal to the virtual metal with the Asphalt series knows, when it comes to high-octane mobile racing games, it doesn’t get any better than this. The game’s scenic courses and nitro-fueled racing mayhem look absolutely stunning on the Galaxy S10+’s 6.4-inch, high-resolution Infinity-O Display. The display’s vibrant, lifelike colors add depth and realism to everything from your supercar’s glossy contours to the game’s astoundingly detailed city- and landscapes. It’s also been optimized by Samsung to be easy on the eyes, which makes it perfect for those extended gaming sessions. From the moment you take your mark for the start of the race to the moment you cross the finish line, the Galaxy S10+’s first-of-its-kind4 Dolby Atmos for Gaming technology immerses you in rich sound. Accessible in-game via the Game Tools menu, this clever innovation carefully optimizes each level of sound – from background music to sound effects – to create a well-rounded soundscape5 that enhances the overall gaming experience. The results are some truly heart-pumping audio effects that ramp up your adrenaline with every turn. Offering easy access to over 30,000 exhilarating games and counting, the Galaxy S10 line’s built-in Game Launcher is your one-stop hub for all things mobile gaming. The convenient app, which allows you to view all of your installed games at once, is packed with intuitive tools designed to help you get the most out of your gaming experience. 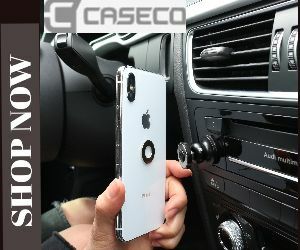 These allow you to, for example, instantly mute your games’ sound before you begin to play, and make detailed adjustments to game settings in order to optimize performance or save power. The in-game accessible Game Tools menu offers users even more ways to take their gaming experience to the next level. The handy menu includes options to disable calls and notifications while gaming – to minimize distractions – and makes it easy to snap in-game screenshots, record gameplay, lock navigation buttons, and activate the Galaxy S10+’s Dolby Atmos for Gaming mode. To introduce users to more games they’ll love, Game Launcher also offers game recommendations based on users’ usage patterns. Each game’s in-depth rundown includes insights into how the game is trending with Galaxy users worldwide, as well as the average amount of time that users are playing. 1 Varies by model and region. 2 The Unity game engine is utilized by over 6.5 million developers, and has served as the framework for approximately 40 percent of the world’s top 1,000 most popular mobile games. 3 Adaptive Performance is slated for release in the second half of this year. Availability may vary. 5 Approximately 30 percent clearer than the Galaxy S9 according to Samsung Electronics’ internal tests. May vary depending on conditions.